April 13th 2018, there was a signing ceremony of Complete Cooperation Memorandum in Tourism HR training between TNUS and Thai Nguyen Tourism Union and Tour Operators in Thai Nguyen. At the ceremony there was the presence of representatives of Department of Culture, Sports and Tourism, president and board members of Thai Nguyen Tourism Union, rector and representatives of TNUS, and Tour Operators in Thai Nguyen. On behalf of TNUS, Prof. Dr. 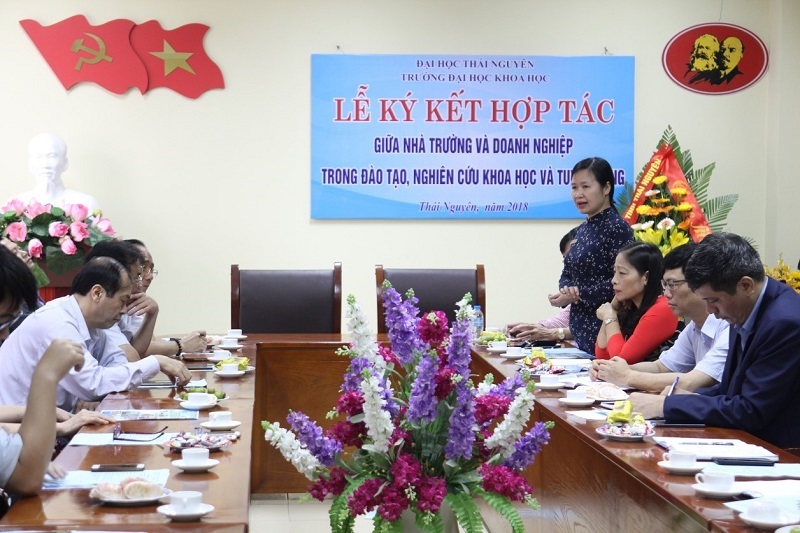 Le Thanh Nhan warmly welcomed the representatives at the ceremony, and expressed a great appreciation to Thai Nguyen Tourism Union and the Tour Operators for their help in the training of Bachelor of Tourism, she also presented the TNUS’ orientation in the near future. In his speech, Mr. Do Trong Hiep - President of Thai Nguyen Tourism Union, highly appreciated the Programme of Bachelor of Tourism and the students’ outcomes. 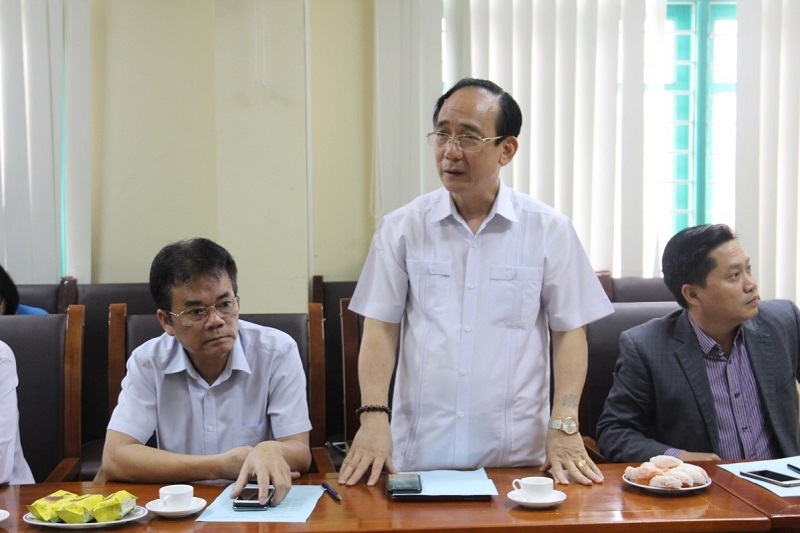 He also revealed that The Union are always ready to cooperate with TNUS, as well as specified the requirements for the students while having training and internship at the Union members’. 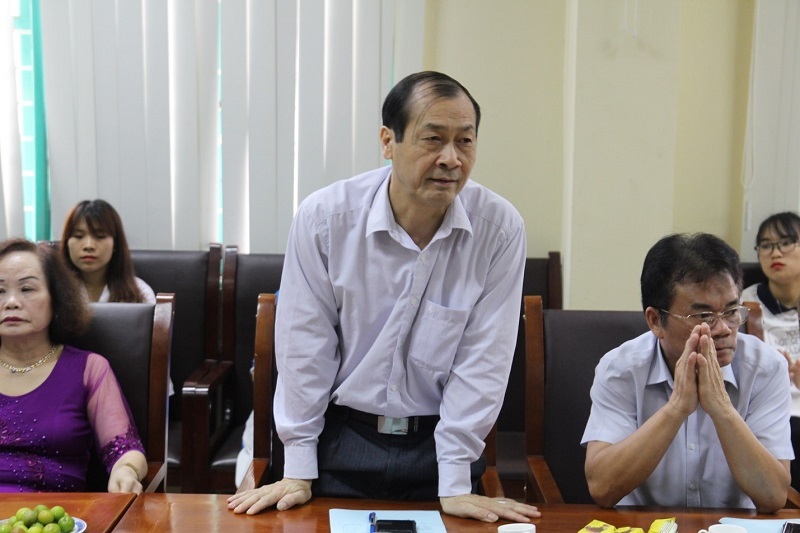 Mr. Hoang Van Quy - Head of office of Tourism Management, Department of Culture, Sports and Tourism, greatly praised the cooperation in Tourism HR training between TNUS and Thai Nguyen Tourism Union and Tour Operators in Thai Nguyen. After 2-hour-long discussion, TNUS and Thai Nguyen Tourism Union agreed to sign the complete cooperation in Tourism HR training between TNUS and Thai Nguyen Tourism Union and Tour Operators in Thai Nguyen. This is hoped tobe a good chance for students of Bachelor of Tourism, and students of Bachelor of English language for Tourism to have good training and intership in those Tour operators and to raise their job opportunities after graduate. The signment of cooperation was the convincing proof of academic reformation to meet the demands of the job market.